Southeast Asia, with its lush tropical jungles, pristine beaches, and wealth of First-World amenities, has a huge amount to offer expats. Here you can have the adventure of a lifetime…and the comforts of a truly pampered lifestyle for pennies on the dollar. Read on to discover three lesser-known retirement spots in Bali, Thailand, and Vietnam. The Indonesian island of Bali has long been popular with sun-loving expats. It’s near the equator, about halfway between Singapore and the northern coast of Australia. The island’s southern coast is the most populated and it’s where you’ll find the best restaurants, shopping, healthcare, and activities. Canggu is a melting pot of tourists, locals, and expats. What lures most people to the area is that even though development is proceeding quickly, you can still live amongst lush rice paddies and green countryside. This southern coast town spans about five miles from Berawa beach to the village of Cemagi. The coastline is fringed with lava stone temples, some of which are centuries old. At first the town might seem disjointed with the main three beaches separated by rivers. Some streets are busy, but the roads and lanes leading away from the main thoroughfare are quiet. Local warungs (small family-owned business—like restaurants or cafés) thrive and attract visitors and expats as do the more modern establishments. The food scene is vegetarian heaven, with many places focusing on raw and healthy menus, but there’s plenty of fish and meat served as well. As a potential retirement location, Canggu offers a laidback lifestyle, close enough to the bigger town amenities without the hustle and bustle. 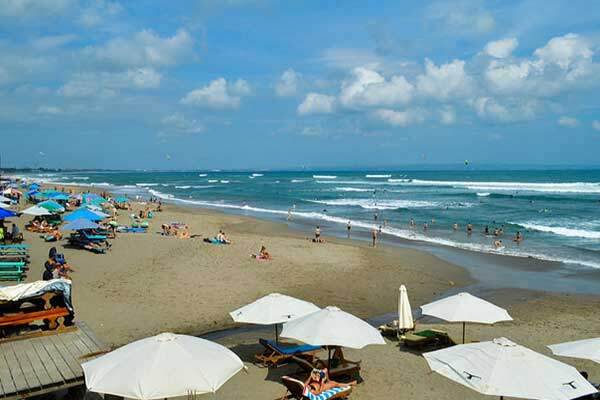 The International airport is only a one-hour drive away, and the popular beach resort town of Seminyak is 15 minutes away. In Canggu a monthly budget of $1,400 is enough for a couple, which includes rent of a two-bedroom villa and a housekeeper. Those looking for a peaceful, rural lifestyle head to Chiang Rai in Thailand’s northernmost province, 110 miles from Chiang Mai. Chiang Rai offers all the basic amenities for a comfortable lifestyle, including restaurants, bars, a private hospital, and a recently-opened shopping mall. 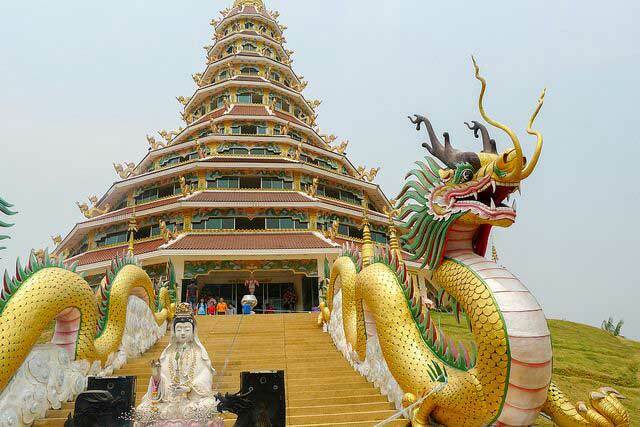 Authentic and quaint, this small town is known for the glorious Wat Rong Khun, a looming white temple complex covered in unconventional décor—think skulls, monsters, and more. 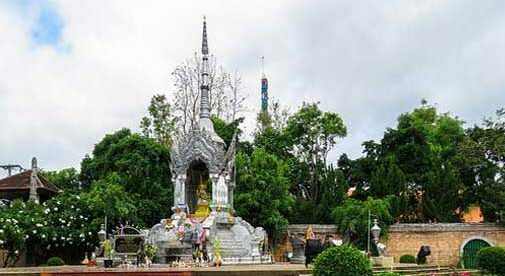 Though many tourists only pop over to Chiang Rai for a day-trip to see the famous Buddhist structure, Chiang Rai makes for a great long-term retirement spot. The White Temple gets all the fame (the nine white elaborate buildings, including a bridge and moat make for gorgeous photos), but the lesser-known Black Temples are even more enticing. A complex made up of over 40 structures and several gardens, the Black Temples aren’t really temples at all. The eclectic buildings, designed by Thai artist Thawan Duchanee, are used as art studios, a home, a museum, and more. Chiang Rai’s location also makes it the perfect jumping-off point for exploring some of the more remote corners of northern Thailand, such as the Golden Triangle, the historic center of the once-famed opium trade between Thailand, Laos, and Burma. Flight time from Bangkok is just an hour. Expats here enjoy trekking with trails nearby, visiting traditional hill tribe villages or traveling to the larger city of Chiang Mai. A couple can live well in culture-rich Chiang Rai on $1,800 a month, which includes money to travel. Vũng Tàu enjoys a spectacular location on a peninsula jutting out into the South China Sea, 60 miles southeast of Ho Chi Minh City. Over the centuries it has acted as a safe anchorage for European trading ships, a headquarters for plundering Malay pirates, a retreat for Vietnamese royalty, home to a former French president, and an R&R retreat for soldiers during the Vietnam War. More recently Vũng Tàu became the center of Vietnam’s oil and gas industry which brought a diverse mix of international expats to its shore and bundles of money to develop essential infrastructure. Over the years, Vũng Tàu’s cool sea breezes, long white beaches, manicured green spaces, and growing selection of top-notch resorts and restaurants, has made the city a favorite weekend getaway for those looking for a break away from Ho Chi Minh City. 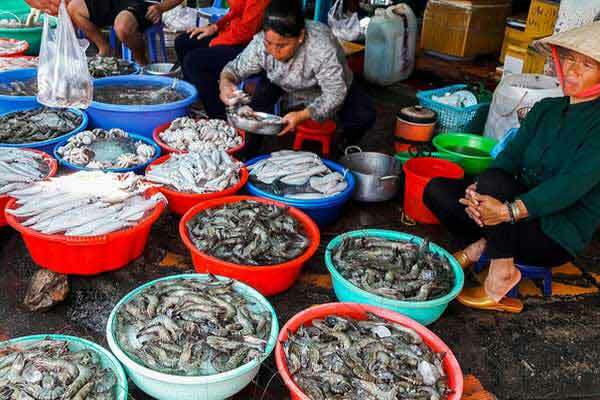 Most visitors to Vietnam never hear about it, let alone visit. But that’s changing fast. Vũng Tàu has emerged as one of Vietnam’s top beach locations and is home to a growing contingent of expats. Although expat numbers are on the rise, Vung Tau’s population of around 450,000 is still predominantly Vietnamese. There’s a reasonable level of English spoken, especially in businesses catering for expats and tourists. For a relatively small city by Vietnamese standards, there’s no shortage of cultural things to do and see in Vũng Tàu. There are several historical sites in the surrounding area, including many from the war era, and a world-class Arms museum. Despite the new facilities, infrastructure, and fast pace of change, Vũng Tàu still retains a laidback vibe and remains uniquely Vietnamese. Offering a beach lifestyle with the added bonus of a low cost of living, a couple can happily live on as little as $1,300 a month without sacrificing any of the comforts of home.